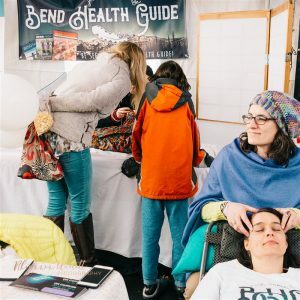 Home / Bend Advertising • Bend Health Guide • Best Massage in Bend • Chiropractors in Bend • Eat Local in Bend • Healers Fair Bend • Holistic Health Directory in Bend • Physical Therapists in Bend • Uncategorized / Better Together!!! 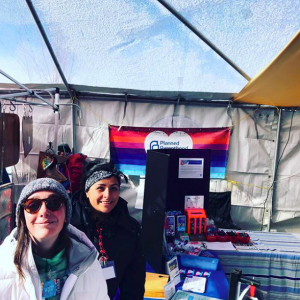 Bend Health Guide participated in Winterfest this year because so many of our members collaborated so we could come together & share the costs of our booth! I realized during this wonderful Event how much Better we are Together!!! 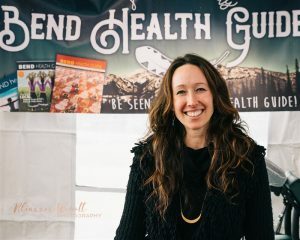 I could not have afforded to do a booth for Bend Health Guide alone and I would not have been able to work it for 3 straight 12 Hour days! 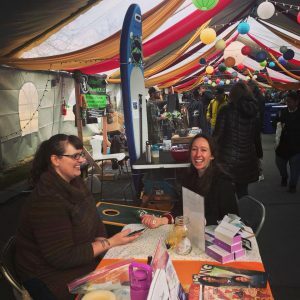 Because we came together and shared our Booth, it made it more do-able for us all! 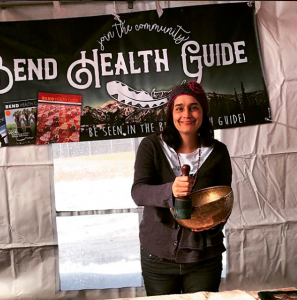 Then Saturday we had Sara Weimers of https://www.oilylmt.com gave Aromatherapy Scans & Free Hand & Arm Massages! 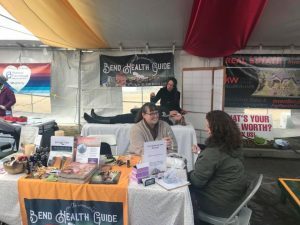 Elyse Williams of http://bendbotanica.com gave powerful Pendulum Energy Clearings & sold many Gift Certificates 1/2 OFF that day!!! 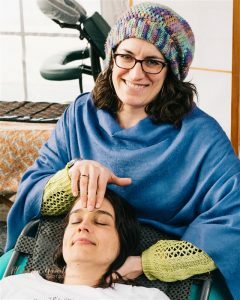 Then Saturday afternoon Jennifer Morey of https://www.consciousjunction.com gave BARS Sessions & Tara Townsend of http://lifesourcehealingarts.com did incredible Shamanic Drumming with a Crystal Grid in place under the table! 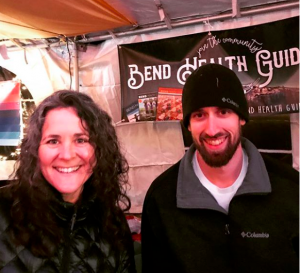 Shannon Townsend manned the flyer table as I had Wind Invasion & had to go home early, thanks Shannon! I couldn’t convince anyone that Saturday night would be a prime time to rent the booth, so I told Jennifer & Tara they could just stay as long as they wanted, they had a packed house at 8pm & decided to stay on past closing time til 10:30Pm!!! I bet they were tired after 8+ Hours of Healing Sessions!!! 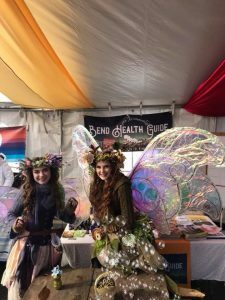 I was so relieved when the Faeiries of Glinwood Fae showed up Sunday afternoon https://www.facebook.com/glinwoodfae/ to entertain tons of kids with face paintings, glitter & gems out of their magic bags! 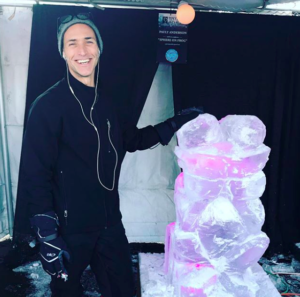 Talk about Kismet & perfect timing because I was able to pack up our booth while they entertained all the littles with their cart of Bubbles & Pure Magic!!! By the end of Winterfest I was so GRATEFUL for ALL of you, for the Support and how we truly are BETTER TOGETHER!! !